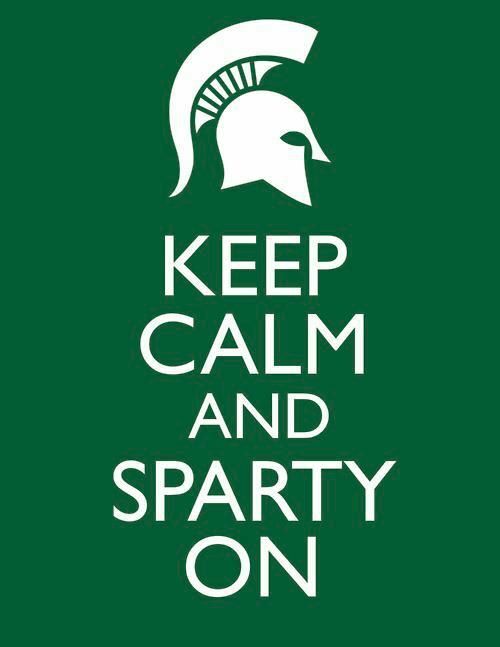 Buy your Championship merchandise today! 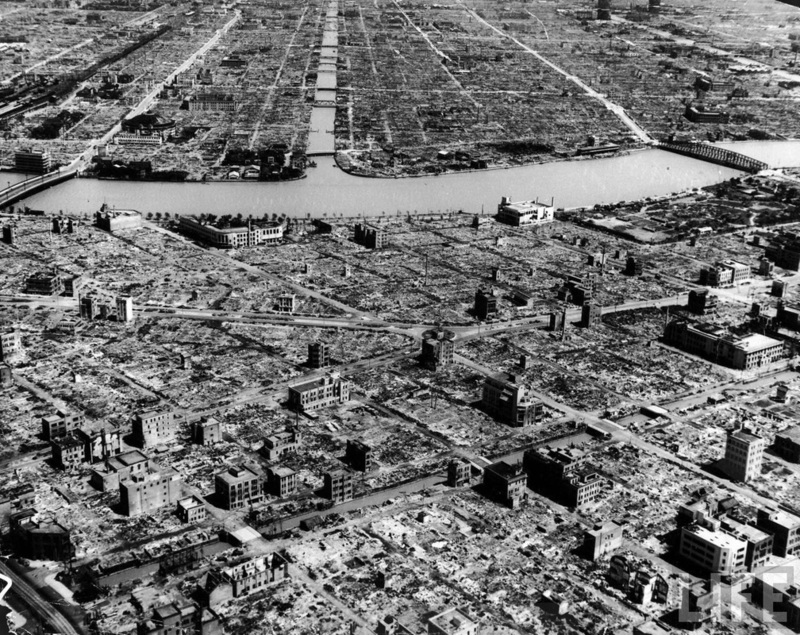 World War II was the largest and most devastating war EVER fought. Like the sequel to any Hollywood summer blockbuster, it was bigger, longer, more expensive, and had a higher body count than the original. 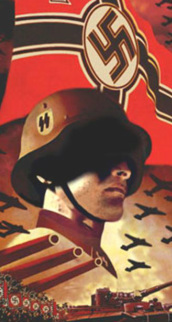 World War II involved 61 countries and ended with the United States and the Soviet Union emerging as the world's two biggest superpowers – and both competing for their own spin-off movie franchise. World War I... the "War to End All Wars" and the "War to Make the World Safe for Democracy"... ended on the 11th hour of the 11th day of the 11th month in 1918. Other than failing to end all wars or making the world safe for democracy, World War I was a success... if you define success as not accomplishing anything you set out to do. Thus, after degenerating into a glorified mud fight in Europe, World War I came to a limping, unsatisfactory end capped off by a peace treaty that reads as though it was written by a group of angry 5th graders. World War I managed to foster the hatred of three countries - impressive since two of the three were on the winning side of the conflict. If you recall, World War I starts after a Serbian teenager assassinates the future leader of Austria-Hungary. This results in Austria-Hungary declaring war on Serbia in what should have been a brief food fight during lunch "over there". Instead, Russia steps in to defend its half-brother Serbia, which now meant Austria-Hungary is in danger of getting beat up in front of the school. So, they call on their Germany friend, who hauls off and decks the random French kid sitting next to Serbia. 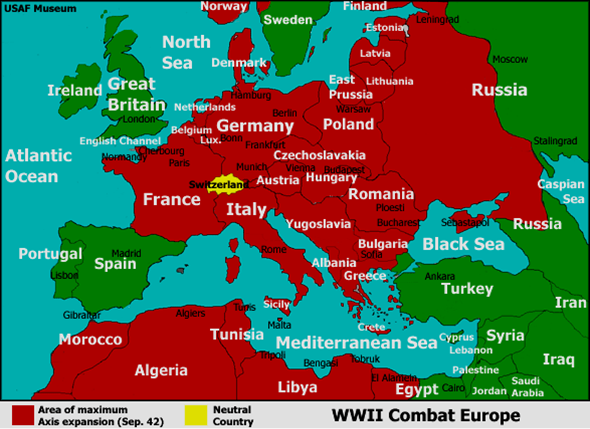 Nearby Britain doesn't like what it sees since France and them go waaaaaay back, and nobody beats up France except Britain, so they shove Germany over Russia who has gotten down on all fours behind Germany's legs. As breadsticks and plastic forks begin to fly in the cafeteria, the U.S. picks up its tray and goes into a different room, where it soon decides to profit off the fight by selling additional forks. At this time, the peaceful Muslim exchange student from Turkey who didn't want to declare jihad decides to do so after jumping off the top of the table and tackling Britain. 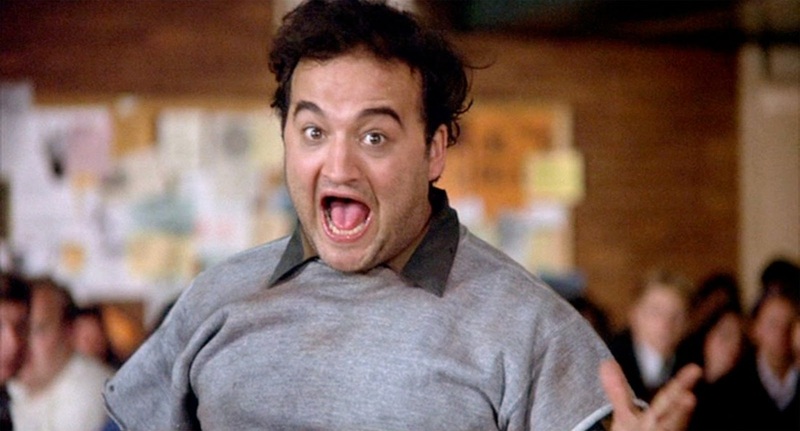 Germany soon catches a glimpse of what the U.S.is doing and drags them out of the hallway and into the cafeteria. This happens just as Russia's split-personality kicks in and it starts punching itself in the face, resulting in it having to go see the nurse. Like the Incredible Hulk’s motto of "You won't like me when I'm angry", the U.S. snaps and single-handedly starts smacking together the heads of Germany and Austria-Hungary. Eventually, out of breadsticks and tired of throwing forks, Britain and France start flipping on and off the lights of the cafeteria... and the fight ends with a nasty mess, some hurt feelings, and the wrong people accused of starting the brawl. 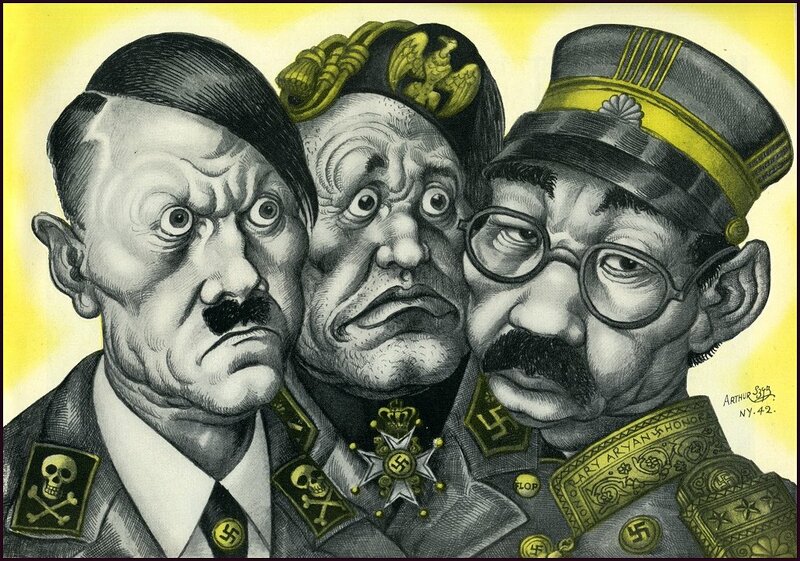 Not surprisingly, the world entered the 1920s with three countries unhappy with World War I's outcome. (And I'm guessing you can name one of them...) Germany was bitter and wanted to get even. Italy, one of the winners, didn't gain enough from the war to offset the amount it spent on the war. Japan, also a victor, was unhappy about its failure to take over China. France and Britain had achieved their wartime objectives. Germany was again a "nobody" and Europe was reorganized just how they liked it. 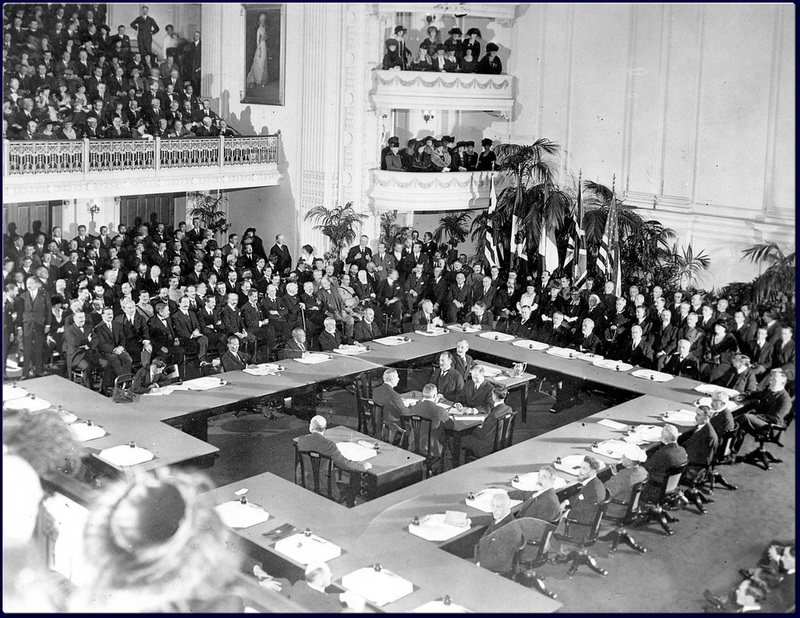 The U.S., meanwhile, had grown disillusioned by the behavior of the Allies in Versailles, refused to sign the treaty, did not join the League of Nations (the only American idea accepted during the peace talks), flipped off Europe, and returned to isolationism. 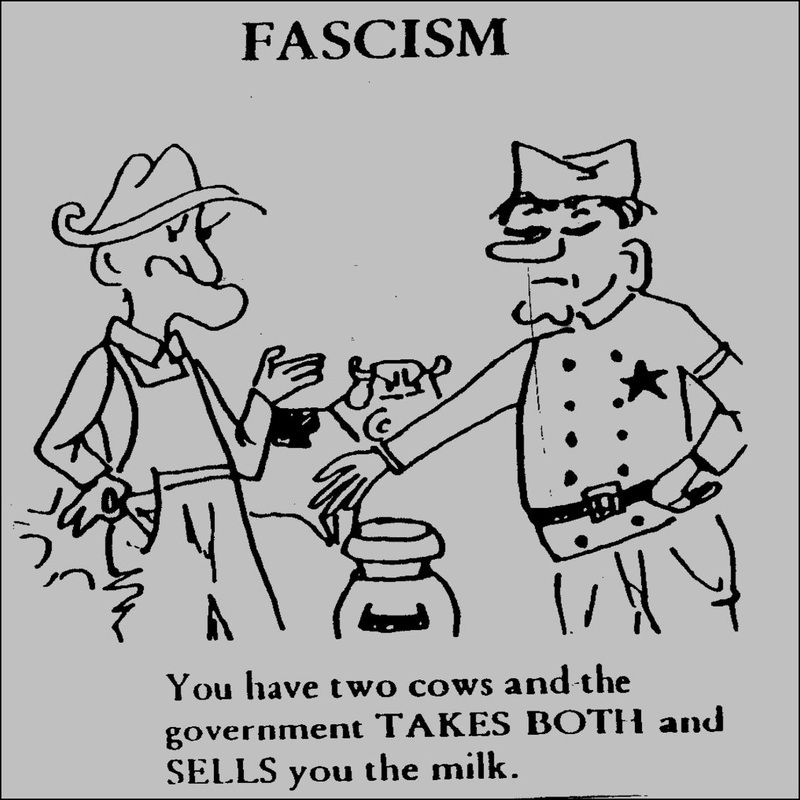 Japan did not formally adopt fascism, but the armed forces' powerful position in the government allowed them to impose a similar type of totalitarianism. As dismantlers of the world status quo, the Japanese military was well ahead of Hitler. They used a minor clash with Chinese troops near Mukden in 1931 as a pretext for taking over all of Manchuria, where they proclaimed the puppet state of Manchukuoin 1932. In 1937-38, they occupied the main Chinese ports. The American-less League of Nations stood by and did nothing but wag their finger in disapproval. 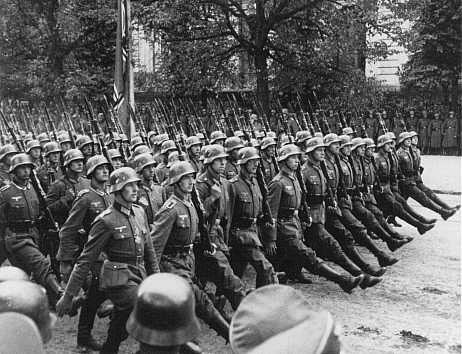 Hitler soon denounced the disarmament clauses of the Treaty of Versailles and created a new air force and reintroduced the draft. (The League of Nations continued to get in its own way.) 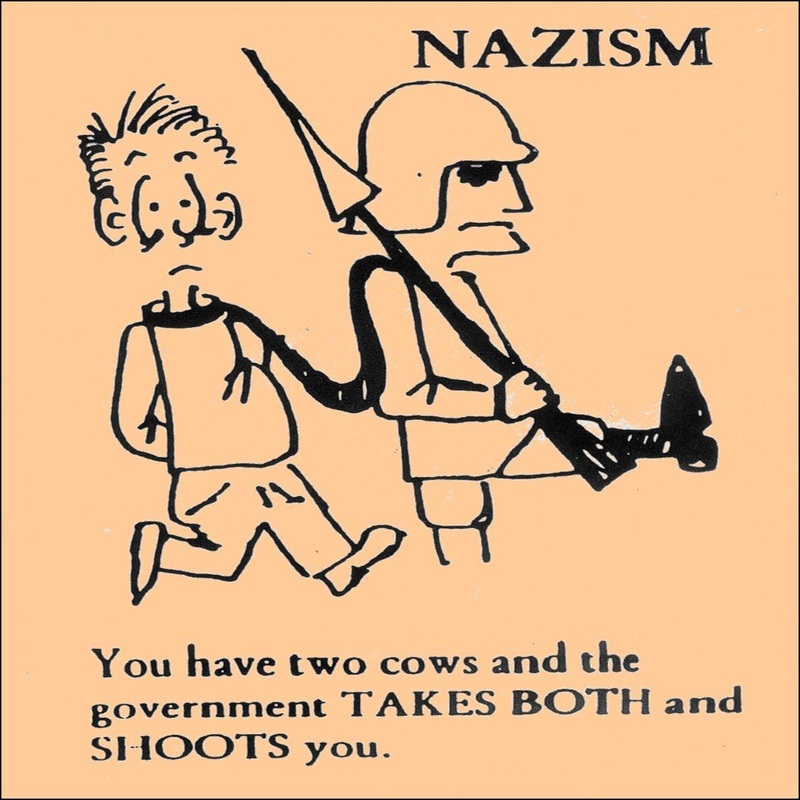 Like any greedy lowlife would do, Hitler gave his new weapons a "test drive" during the Spanish Civil War (1936-1939) on the side of right-wing military rebels. Of course, Hitler wasn't the only dictator using Spain as their own personal playground. 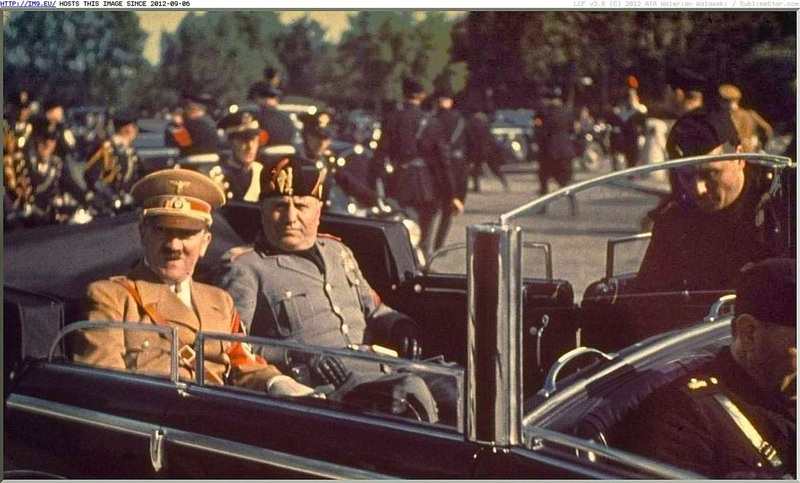 Enter Benito Mussolini, who, along with his Black Shirts (followers that wore – you guessed it – black shirts) had overthrown Italy's King Victor Emmanuel III and established fascism in Italy. Mussolini knew something about abusing weaker opponents, having just seized Ethiopia in a small war (1935-1936). This sick love-affair that had made "besties" between Hitler and Mussolini soon drew in Hideki Tojo, the Prime Minister of Japan. Treaties between the three created the Rome-Berlin-Tokyo Axis, or, simply, "The Axis" (since they believed the world would spin on a new axis after they win the war). All this testosterone and male posturing quickly brought the Soviet Union into the picture. 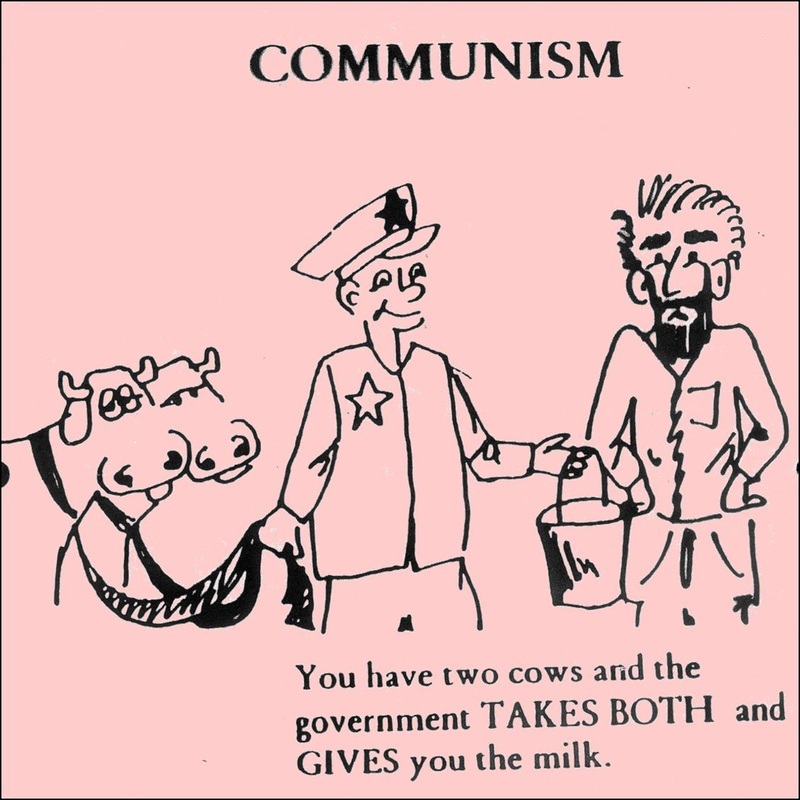 Joseph Stalin, the ruthless Communist dictator who had "offed" a few rivals to take the country over after the death of Vladimir Lenin in 1924, had offered military help to Czechoslovakia during the 1938 crisis, but he had been ignored. Now that war was possible, Stalin was courted by both sides, but Hitler made the best offer by simply asking for their neutrality. In 1939, the Nazi-Soviet Pact was signed, and Germany and the Soviet Union agreed not to go to war with each other (at least not yet). In the early morning hours of September 1, 1939, Germany invaded Poland from the west using its feared blitzkrieg ("lightning war"). 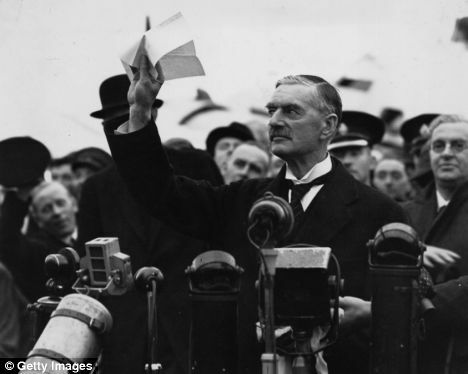 Two days later, Britain and France declared war on Germany, beginning World War II. The German war machine conquered most of Europe by 1940 (it took them just 10 days to knock France out of the war, but that's because it was raining), leaving only Britain as the world's last hope. 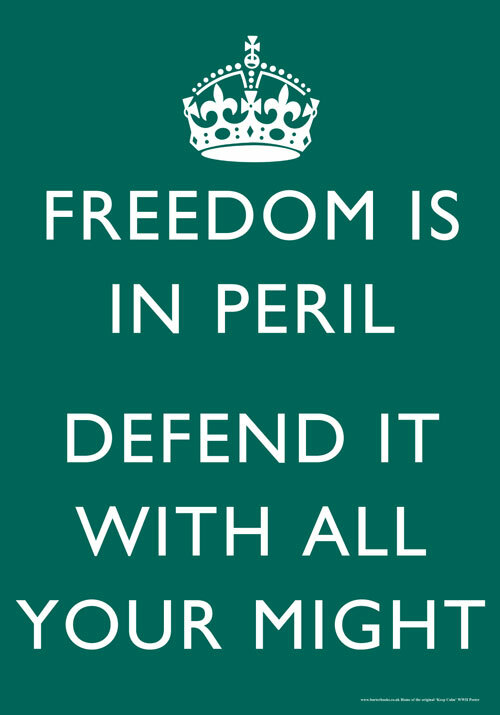 British Prime Minister Winston Churchill (who had replaced Chamberlain) appealed to the "neutral" U.S. and President Franklin D. Roosevelt for help. In 1941, the Lend-Lease Act was passed and allowed the U.S. to lend or lease weapons, food, or supplies to nations deemed important to the security of the U.S. Later that year, FDR and Churchill met for the first time on a destroyer in the North Atlantic to sign the Atlantic Charter. Like Woodrow Wilson's Fourteen Points, the Atlantic Charter was a vision of a world of freedom and peace for all nations and people. Even though FDR believed the U.S. would eventually have to enter the war, public opinion was strongly against direct intervention. 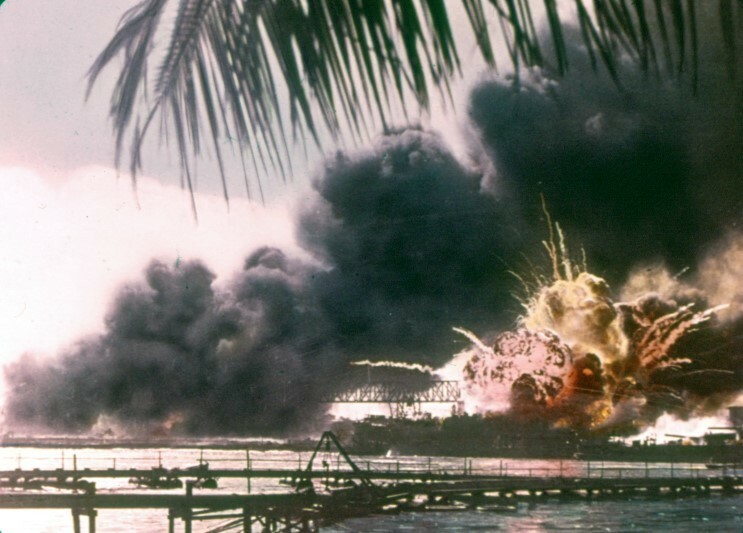 This, of course, all changed on December 7, 1941 when the Japanese attacked Pearl Harbor in Hawaii. 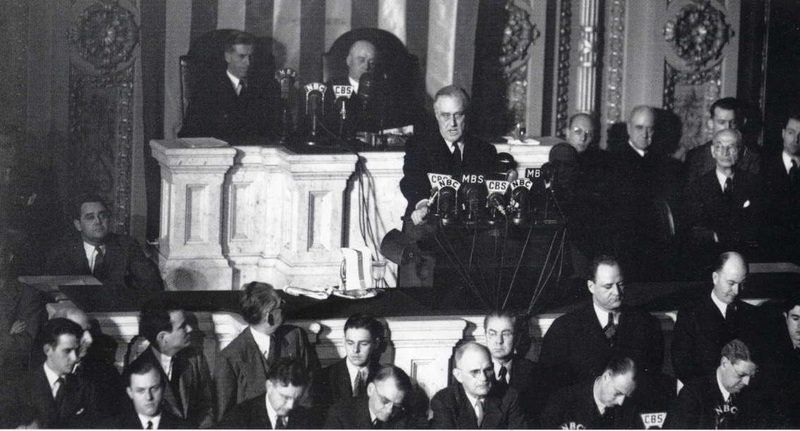 Calling it "a date which will live in infamy", FDR asked for (and received) a declaration of war from Congress the next day. It was go time. The entry of the U.S. into World War II was a game changer (as it had been with World War I, and, come to think of it, most wars). With the addition of the U.S., the war was now a global conflict with fighting occurring in Africa, Asia, Europe, and in both the Atlantic and Pacific Oceans. Nations mobilized on the home front to support the troops overseas. The U.S. gave the Allies new hope and brought much needed money, supplies, and troops to the cause. In 1942, the U.S. defeated the Japanese in the Battle of Midway, gaining control of the Pacific Ocean and allowing the U.S. to begin its "island-hopping" strategy to get closer to the mainland of Japan. 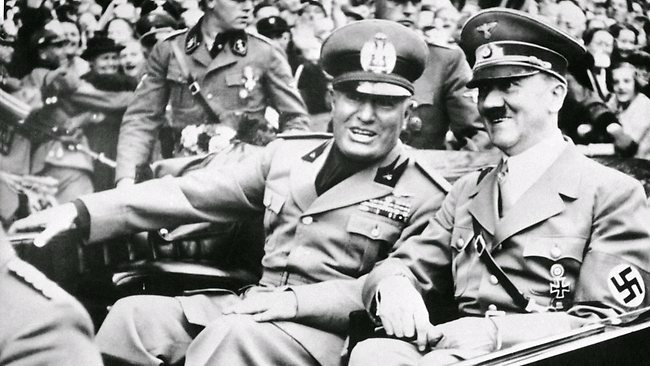 In 1943, invading German troops surrendered to the Soviets in Stalingrad, Axis forces were defeated in North Africa, Italy was invaded, and Mussolini fell from power. On June 6, 1944, known as D-Day, the Allies invaded France and began the liberation of Europe. 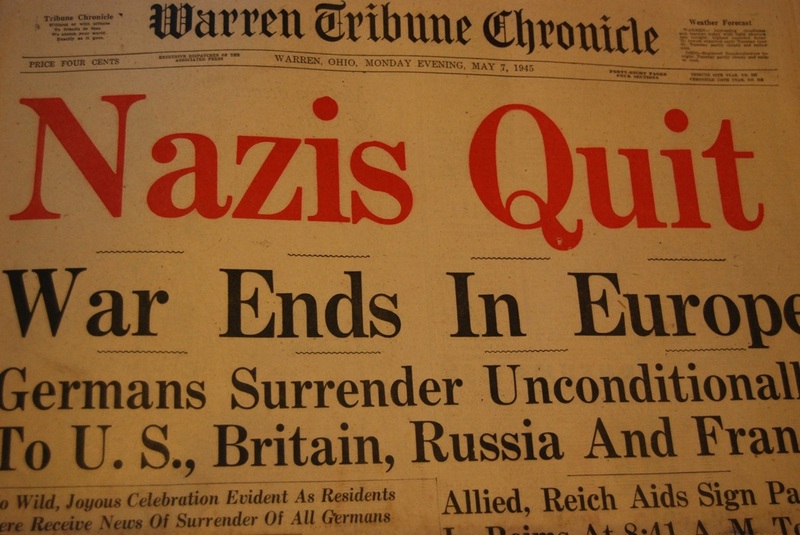 Germany soon surrendered on May 8, 1945 in what later became known as V-E Day (or Victory in Europe Day). Japan had proven to be one of the most difficult armies to face. The Code of the Samurai meant Japanese troops were willing to die rather than be captured and face defeat. This made combat in the Pacific intense and horrifying. Insane numbers of casualties were posted with every island the U.S.captured and the closer and closer they got to Japan. On August 6, 1945, the U.S. dropped an atomic bomb on the Japanese city of Hiroshima. The entire city was destroyed instantly. Three days later, a second atomic bomb was dropped on Nagasaki. With the Soviets perched to invade from the west and the Americans knocking on the door from the east, Japan elected to surrender (to the U.S.) on September 2, 1945 on what became known as V-E Day (or Victory in Japan Day). 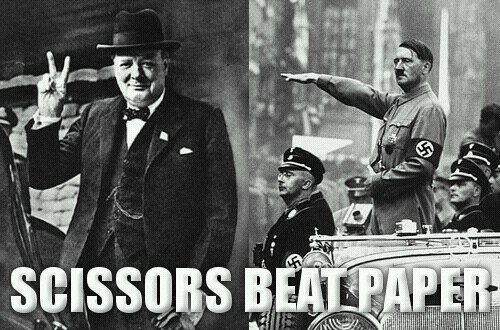 World War II was over. World War II's statistics qualify it as the greatest war in history in terms of human and material resources expended. 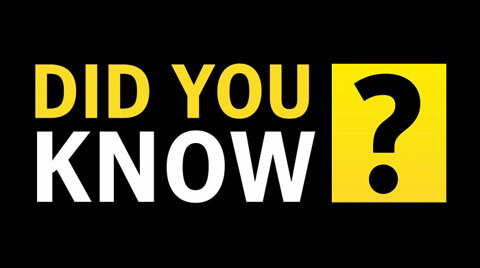 In all, 61 countries with 1.7 billion people (or three-fourths of the world's population) took part. Over $1 trillion was spent on the war, making it more expensive than all other wars combined. The use of the atomic bomb changed the world in many ways. Nuclear power led to a four-decade-long arms race between the U.S. and the Soviet Union, and nuclear annihilation continues to threaten the world today. At the same time, nuclear power enabled scientists to develop new sources of energy. The biggest long-term casualty was the world's balance of power. Britain, France, Germany, and Japan ceased to be great powers in the traditional military sense, leaving only two, the U.S. and the Soviet Union. Literally as the dust settled, these "frenemies" began dictating world affairs in what became the Cold War (1945-1991). Some of you know where I'm going with this one. 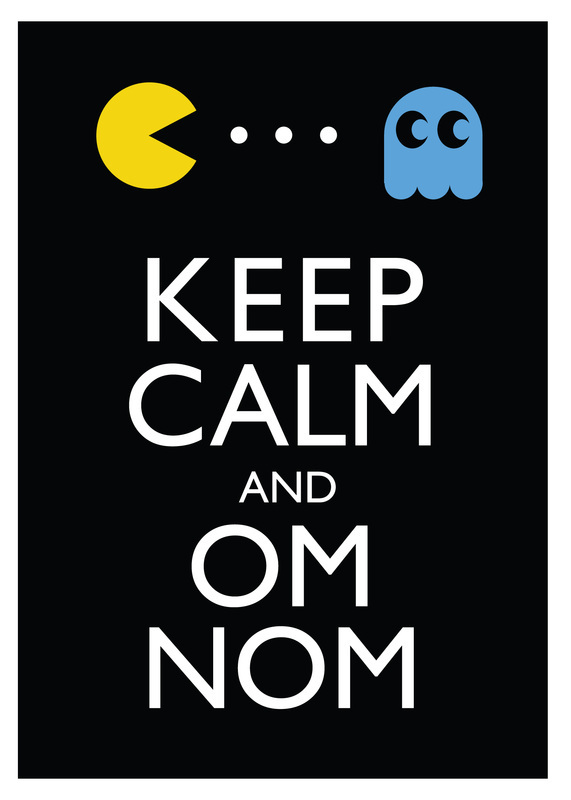 And if you don't, click the picture to find out. 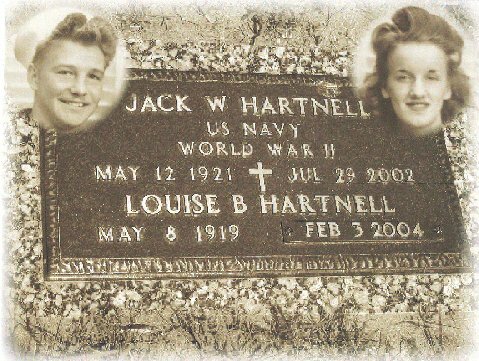 Dr. Hartnell's grandfather Jack Hartnell (1921-2002) served in the U.S. Navy during World War II. 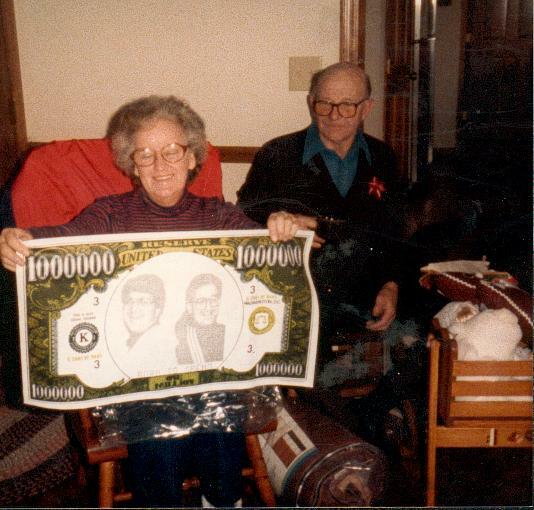 Originally stationed in Pearl Harbor, Jack was granted shore leave on December 6, 1941 and returned to San Francisco to visit his wife, Louise, who was working in the factories as a real life "Rosie the Riveter". As history recalls, the Japanese bombed the island the next day. Jack was immediately called back on December 8th and assigned to the U.S.S. Henry T. Allen where he continued his role as a Boatswain's Mate that he held in Hawaii. 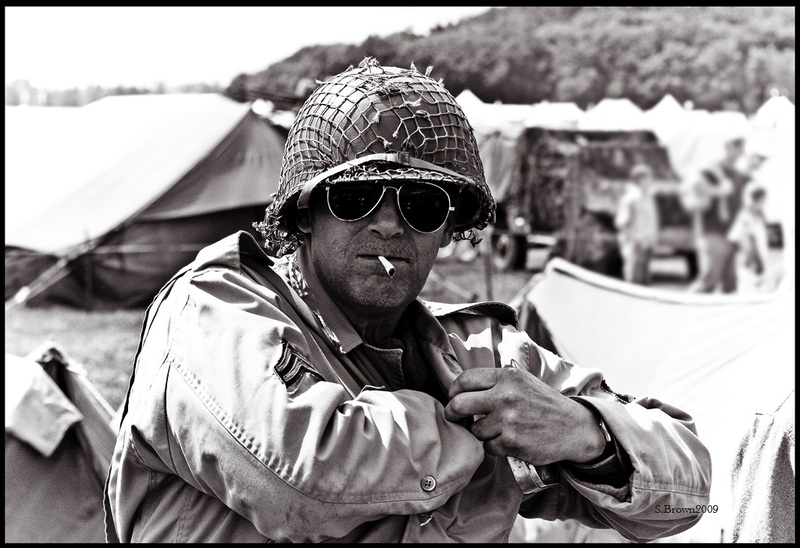 Through extensive training, he became a Frogman (the precursor of the Navy SEALs) and saw 11 combat landings (2 in the Atlantic and 9 in the Pacific). He took shrapnel to the right leg during the Battle of Algiers in North Africa in 1942 but returned to combat less than two months to take part in the Battle of Guadalcanal. He followed this up with landings in Guam, Iwo Jima, and Okinawa. Jack was also slated to invade Japan had the atomic bomb not been dropped. 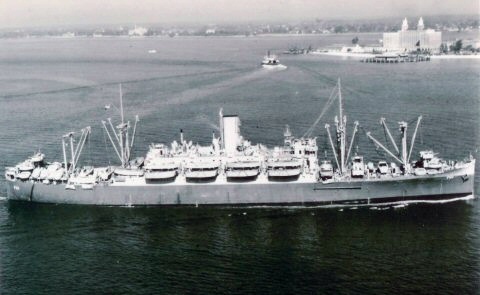 In all, Jack served from June 1, 1938 until September 3, 1945. 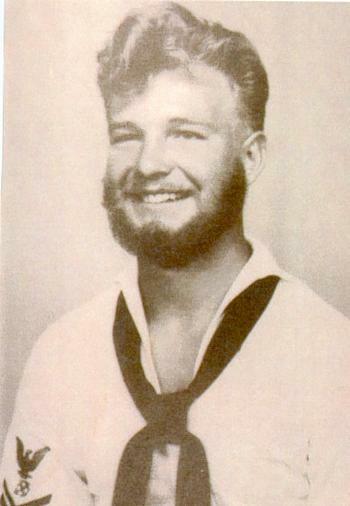 For more information on Jack Hartnell, click here to visit MyWarHistory.com, a web site that honors WWII veterans. 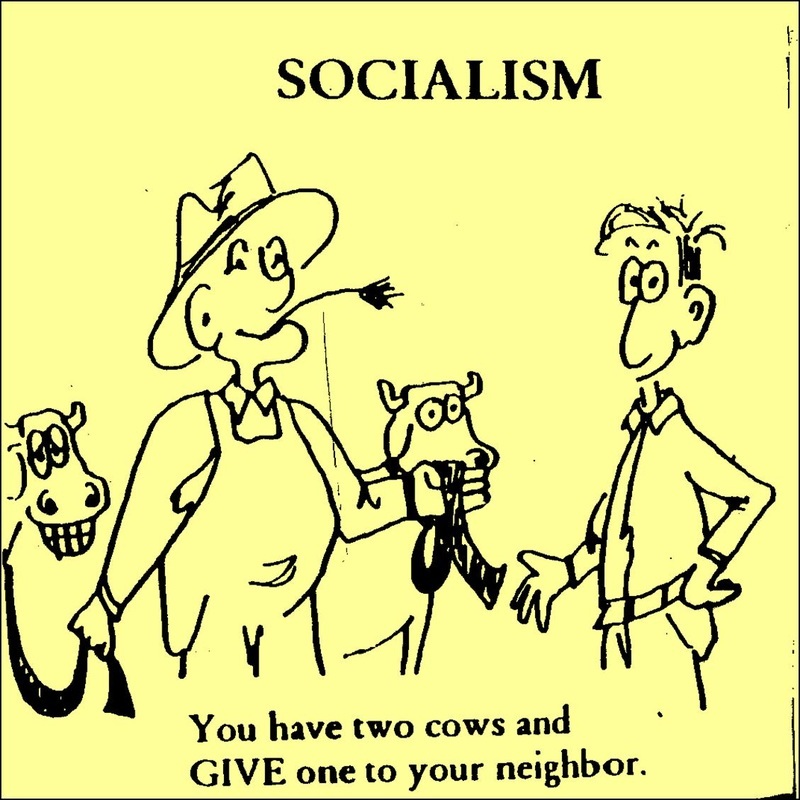 World War II brought together an entire hodge-podge of "isms', including capitalism, socialism, communism, fascism, and Nazism. But never fear! 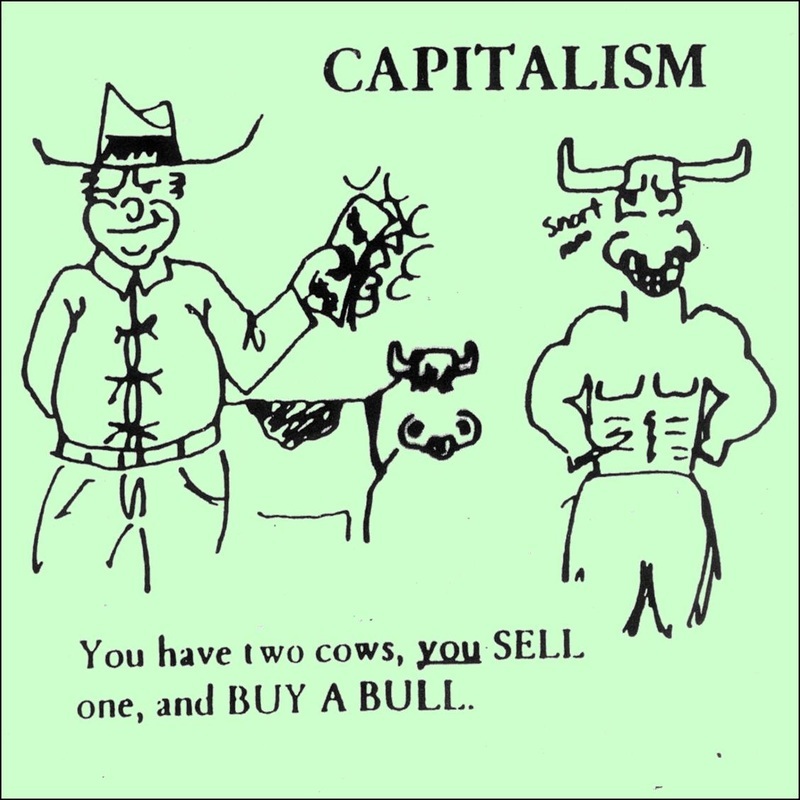 Cowconomics will set you straight! 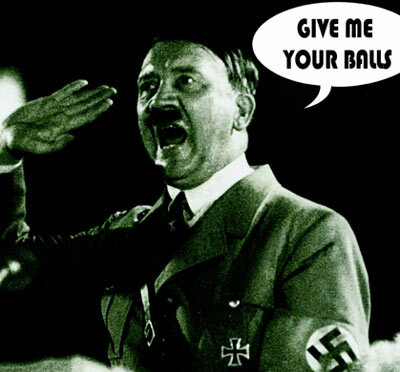 Hitler only had one testicle. Yes, you read that right. He was monorchic (a nicer, more medically polite way of saying "he had one nut"). For years, historians debated whether this was true or merely propaganda used in a British song that said: "Hitler has only got one ball, Göring has two but very small, Himmler is somewhat sim'lar, But poor old Goebbels has no balls at all. 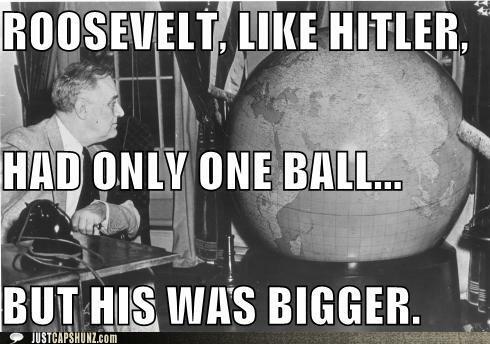 Hitler has only got one ball, The other is on the kitchen wall, His mother, the dirty bugger, Chopped it off when he was small." account was found. 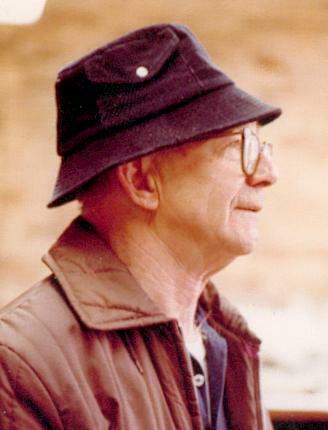 German veteran Johan Jambor made the revelation to a priest in the 1960s, who wrote it down. The priest's document was found 23 years after Jambor's death in 1985 and tells how Jambor saw the proof with his own eyes. In the account, he relives the horror of serving as an army medic in World War I. In fact, he was the medic that saved Hitler's life when he was wounded in 1916 during the Battle of the Somme. The medic vividly remembered Hitler, confessing to the priest, "We called him the 'Screamer'. He was very noisy. Hitler was screaming 'Help! Help!' He was injured in the abdomen and lost one testicle. His first question was: 'Will I be able to have children?'" 1930s.) 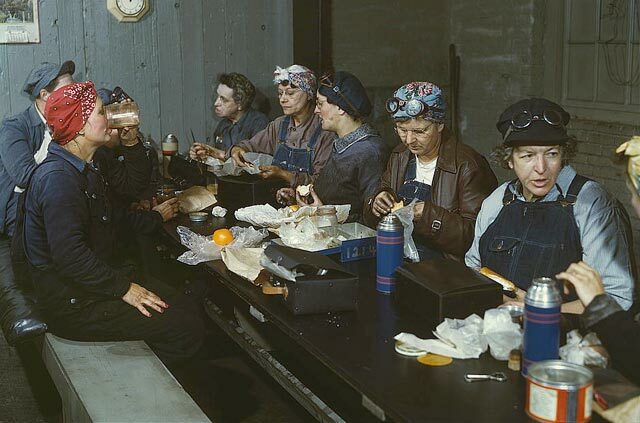 Some unions tried to maintain the same pay scale as men had because they expected men to resume their jobs after the war. In 1944, unemployment hit an all-time low of 1.2% (not bad since it was 25% in 1933). 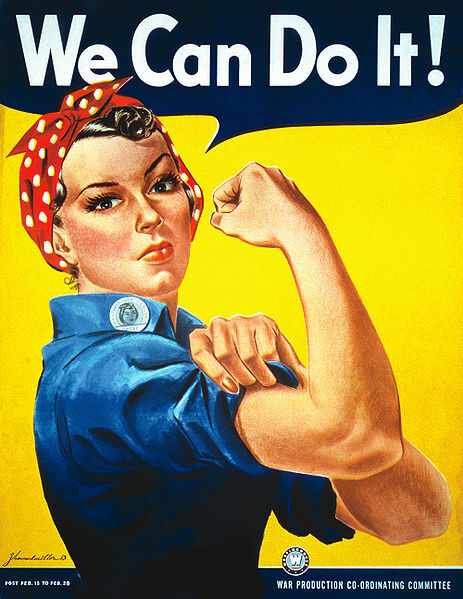 The symbol is best remembered from the "We Can Do It!" propaganda poster made by J. Howard Miller in 1943 for Westinghouse Electric as an inspirational image to boost worker morale. 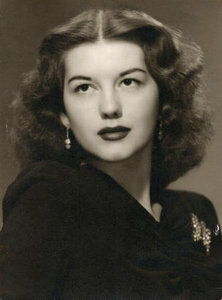 The poster is generally thought to be based on a photograph taken of a Michigan factory worker named Geraldine Hoff. 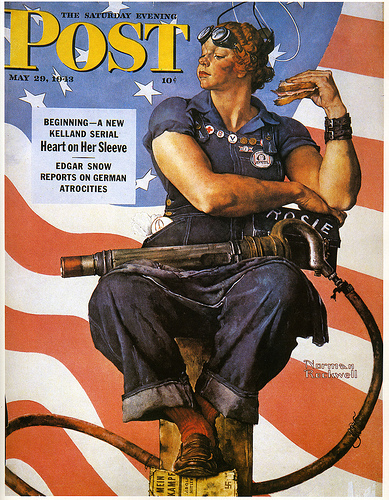 Artist Norman Rockwell's image of "Rosie the Riveter" received mass distribution on the cover of the Saturday Evening Post on Memorial Day in 1943. Rockwell's illustration showed a brawny woman taking her lunch break with a rivet gun on her lap and beneath her shoe a copy of Hitler's manifesto, Mein Kampf. 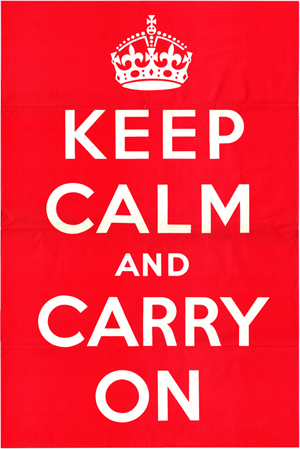 "Keep Calm and Carry On" was a propaganda poster made by Britain's Ministry of Information in 1939 during World War II. 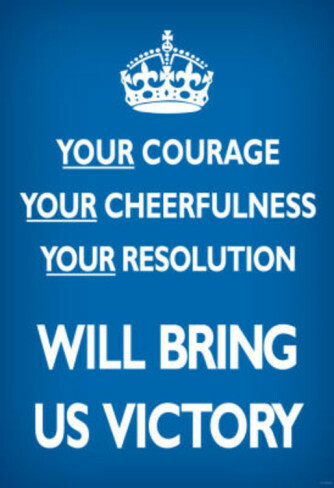 Its objective was to raise the morale of the British people should the Nazis invade. Over 2.5 million copies were printed, but it was distributed in limited numbers and was never put on display publically. poster outside government archives until a collection of 15 originals was brought in to the Antiques Roadshow in 2012. Today, there are hundreds of rip-offs and mock-ups that mimic the original "Keep On" poster.